In a new presentation for investors AMD announced a more precise launch plan for its client APUs and CPUs for desktop, mobile, and server computers. The company is preparing to update its whole lineup of products for different types of client and server machines later this year. As it turns out, AMD intends to release its 2nd Generation Ryzen Pro mobile products for notebooks this spring. AMD also plans to introduce its 3rd Generation Ryzen processors sometimes in the middle of the year. A bit later on the company is set to launch its 3rd Generation Ryzen Threadripper CPUs for extreme desktops and workstations. AMD’s codenamed Rome processors for servers are also due in 2019, but the manufacturer does not elaborate about their exact timing. AMD’s 2nd Gen Ryzen Pro 3000-series quad-core processors are based on the Zen+ microarchitecture and are made using GlobalFoundries’ 12LP process technology, just like their non-Pro counterparts. The latter are set to become available in the near future, so we are going to learn more about what to expect from these upcoming APUs shortly. AMD’s 3rd Gen Ryzen processors for desktops rely on the brand-new design code-named Matisse. Matisse features two dies: a chiplet die containing eight cores based on the Zen 2 microarchitecture, and built using TSMC’s 7N manufacturing process; and an I/O die featuring PCIe 4.0 lanes, and built using GlobalFoundries’ 14LPP fabrication technology. 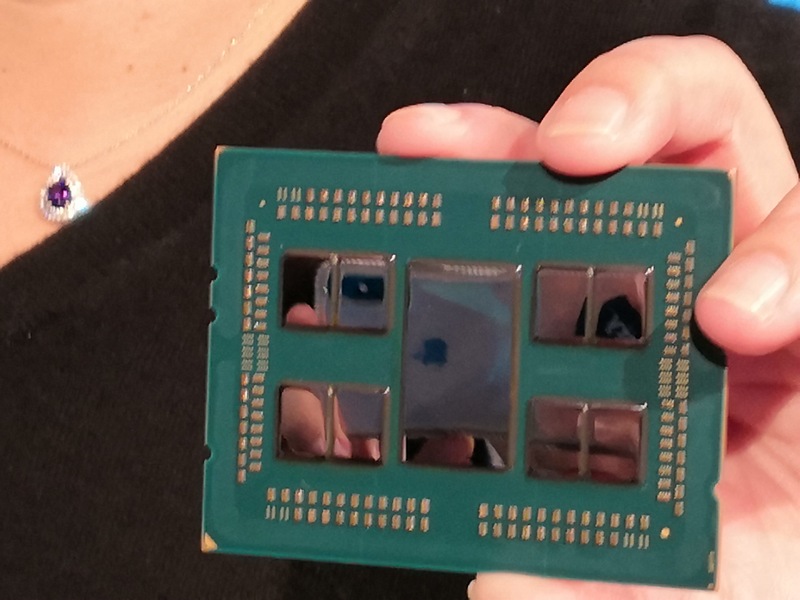 AMD’s 2nd Gen EPYC (codenamed Rome) and 3rd Gen Ryzen Threadripper processors have a lot in common. EPYC will have eight 7nm Zen 2-based chiplets to provide up to 64 cores and an IO die. We expect the 3rd Gen Ryzen Threadripper to be built on the same platform, but we don't expect to see parity on power/core/frequency based on how the first generation Threadripper only offered half the cores of the 1st Gen EPYC. We would be pleasantly surprised if there was core configuration parity! This is a breaking news. We are adding more details as we learn them. Threadripper is not just about core count but also PCIe lanes and Memory bandwith/channels. A lot of the memory issues with Threadripper have been settled. Depending on the app even a quad core has been memory limited in the past.